At Kailend, we believe that investing in education and skills training for children and low income earning women can play a major role in shaping the future of the communities we work in. Research shows that the returns on early childhood education investments are highest among children from impoverished communities. Africa’s growing population is going hand in hand with its demand for food and consumer goods. One main area of focus for Kailend is Agriculture. The continent has over 50 percent of the worlds fertile and unused land. The opportunities we strive to provide may serve as a stepping stone out of poverty; and the chance to be a part of building a self-sufficient Africa. Sponsored vocational training programs in jewellery making, agriculture and tailoring for three groups of low income earning women over a period of 3 years. Initially getting 27 street children off the streets and into a partner school where they were housed and provided for. Almost a third of those children chose to stay on and have been reintegrated back into family homes and skills training or school. Scholarships for 70 children in Togo over a 3 year period. Scholarships for 40 children in The Gambia over a 3 year period. Rent payments for 2 years for an orphanage with over 55 children in Lomé, Togo and then contributed towards the construction of their own care home and in-house primary school. Weekly Feeding and football coaching sessions for 4 years with vulnerable street children to engage them and get them off the streets and back into a family home and education. Donated Over 200 kg worth of medical supplies and equipment to community clinics in 2 districts. Donations of clothing and sports equipment to 50 boys and girls in Kpomé, Togo. 4 years of donations of food provisions, education materials, sports equipment, clothing, medicine and toys to orphanages in Togo and Ghana. 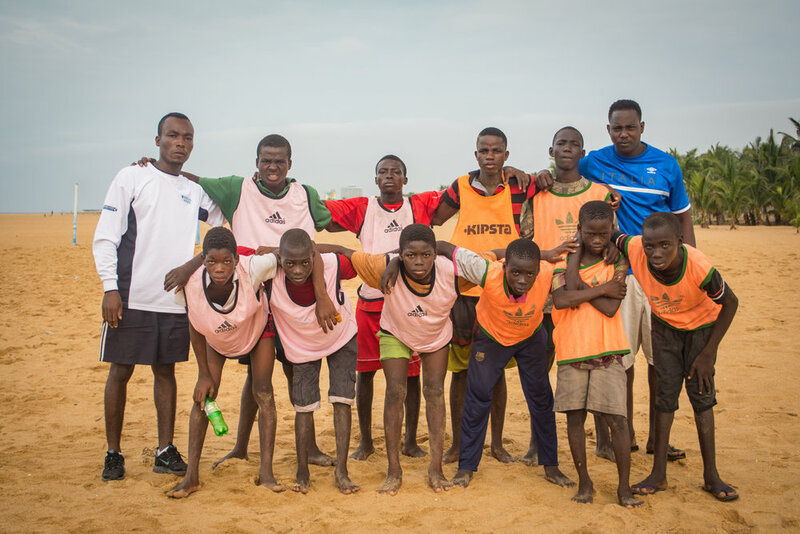 Over 9.000 hours of community development work on various projects in Togo and Ghana. 4 years of Christmas meals and presents for over 250 street children in Lomé, Togo. Acquired 5 hectares of land in Togo for agriculture production, processing and training. Acquired 4 hectares of land in The Gambia for agriculture production and training. Sponsored vocational training programs in agriculture and plumbing and for over 20 low income earning women and men in The Gambia.